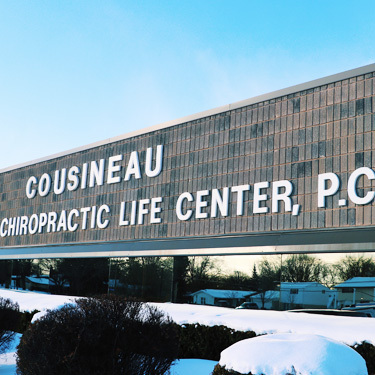 Cousineau Chiropractic was established in 1975 to deliver quality chiropractic care to the downriver community. The most important aspect of our practice is the patient relationship. We strive to create a strong relationship with each of our patients by following one simple philosophy: treat others as you would want to be treated. In order to fully benefit from chiropractic care, patients must work together with our doctors toward their healthcare goals. Ideally, the patient will view their health positively and believe their body can heal better without interference. The question we are most commonly asked is, “How long does chiropractic take to work?” The answer varies because each patient is different based on their condition. The best way to reach optimum health is for the patient to follow their specific care plan given by their doctor. Take the first step towards relief by calling our Riverview practice today and making an appointment to discuss your health goals. Contact us to get started.